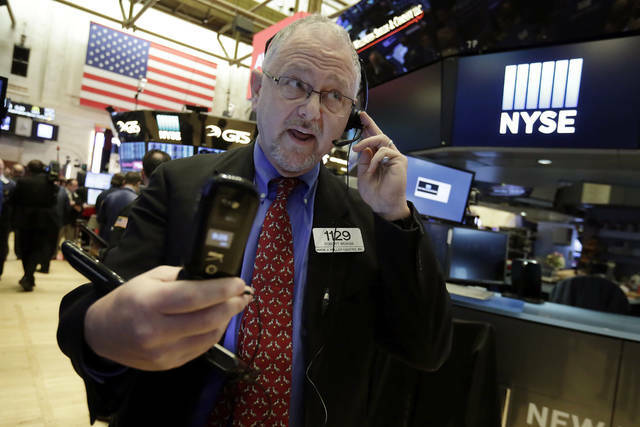 NEW YORK — A broad rally on Wall Street propelled the Dow Jones industrial average to close above 26,000 points for the first time Wednesday. Technology and health care companies accounted for much of the gains. Financials stocks also rose, even as some big banks fell after reporting hefty quarterly losses. 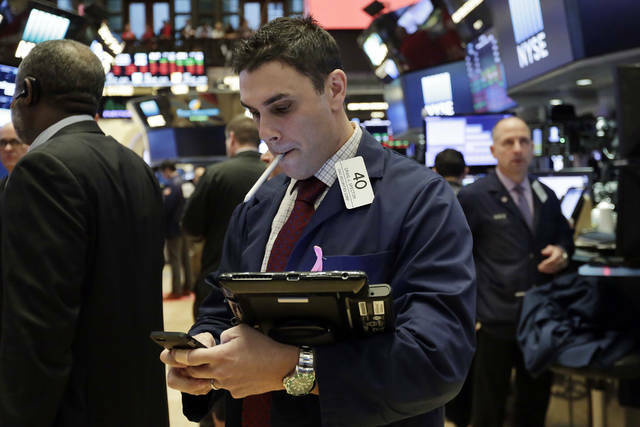 The Dow gained 322.79 points, or 1.3 percent, to 26,115.65. The S&P 500 index rose 26.14 points, or 0.9 percent, to 2,802.56. The Nasdaq added 74.59 points, or 1 percent, to 7,298.28. The Russell 2000 index of smaller-company stocks picked up 13.69 points, or 0.9 percent, to 1,586.66. 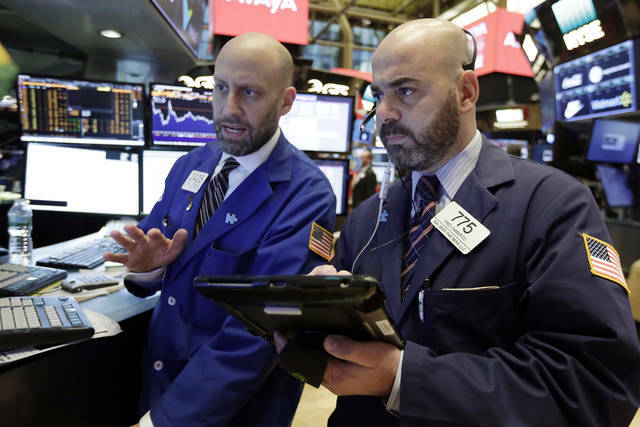 The Dow traded above the 26,000-point threshold on Tuesday, but wound up closing lower. Its surge Wednesday was driven in part by a gain in Boeing, which posted the biggest gain in the 30-company average. With the stock market reaching records so often, 1,000-point moves in the Dow have become increasingly commonplace. It’s been just eight trading days since the Dow had its first close above 25,000 on Jan. 4. That’s faster than the 23 days it took the Dow to go from 24,000 to 25,000 points. The stock market is off to a stellar start in 2018. The S&P 500 index has closed lower only twice this year. It capped last week with its seventh weekly gain in the past eight. Technology stocks were again some of the biggest winners. Lam Research led the S&P 500 with a gain of $14.69, or 7.7 percent, to $205.08. Investors also bid up health care stocks, including Anthem. The insurer added $7.40, or 3.1 percent, to $249.15. Industrial stocks rose after the Federal Reserve said U.S. industrial production increased 0.9 percent in December. Boeing rose $18.85, or 4.7 percent, to $351.01. Juno Therapeutics soared 51.9 percent after the Wall Street Journal reported that biotech drugmaker Celgene might buy it. Juno is one of several companies developing therapies that involve genetically engineering patients’ blood cells to fight cancer. Juno rose $23.65 to $69.25. Celgene fell $2.80, or 2.7 percent, to $102.02. Some big companies were left out of Wednesday’s rally. Ford Motor slumped 7 percent after the automaker gave a disappointing profit forecast for the year because of weaker sales in the U.S., higher commodity costs and its investments in new electric and hybrid cars. The stock was the biggest decliner in the S&P 500, giving up 92 cents to $12.18. Goldman Sachs and Bank of America also closed lower after their latest quarterly results disappointed Wall Street. Goldman said it lost $1.93 billion in the fourth quarter as the investment bank had to record more than $4 billion in charges related to the new tax law. Goldman’s trading desks had a weak quarter. The stock declined $4.81, or 1.9 percent, to $253.65. Bank of America’s fourth-quarter profits fell by nearly half from a year ago, as the bank had to book $2.9 billion in charges related to the tax law. The stock slid 6 cents, or 0.2 percent, to $31.18. U.S. crude added 24 cents to $63.97 per barrel on the New York Mercantile Exchange. Brent crude, used to price international oils, rose 23 cents to $69.38 a barrel. Gold rose $2.10 to $1,339.20 an ounce. Silver dropped 2 cents to $17.17 an ounce. Copper fell 3 cents to $3.19 a pound. The dollar rose to 111.13 yen from 110.30 yen on Wednesday. The euro fell to $1.2235 from $1.2271. The price of bitcoin extended its slide Wednesday, though by late afternoon it had pared most of its losses from earlier in the day. The digital currency fell 1.6 percent to $11,172, according to the tracking site CoinDesk. Bitcoin futures on the Cboe Futures Exchange fell 2.6 percent to $10,820. The futures allow investors to make bets on the future price of bitcoin. Many finance pros believe bitcoin is in a speculative bubble that could burst any time. Heating oil futures gained a penny to $2.07 a gallon. Wholesale gasoline added 2 cents to $1.86 a gallon. Natural gas picked up 10 cents, or 3.3 percent, to $3.23 per 1,000 cubic feet. European markets finished lower. Germany’s DAX lost 0.5 percent, while the CAC 40 in France slipped 0.4 percent. Britain’s FTSE 100 declined 0.4 percent. Japan’s Nikkei 225 index lost 0.4 percent, while the Kospi in South Korea shed 0.3 percent. Hong Kong’s Hang Seng rebounded from earlier losses to gain 0.3 percent.